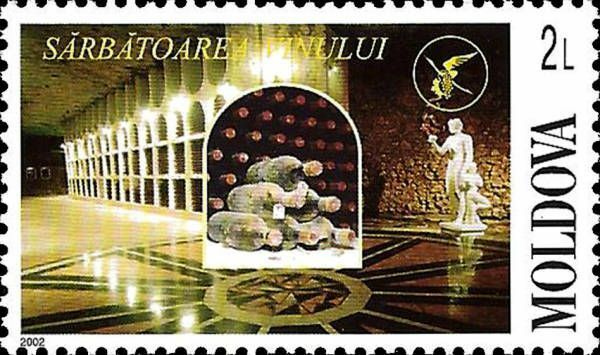 On 11 October 2002, the Post Office of Moldova (Poșta Moldovei) issued a series of postage stamps with the title National Wine Festival. 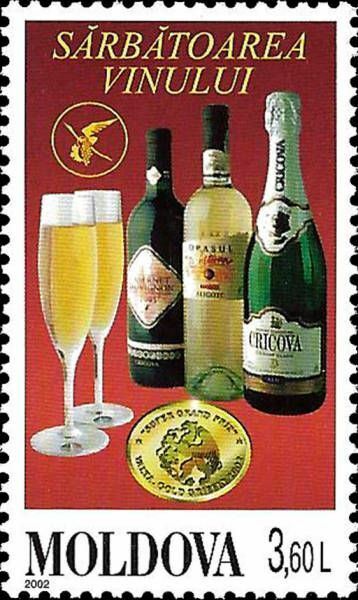 The issue comprises five stamps, with associated cancellation (postmark) and first day cover (FDC). The designer was Vitalie Roşca. The printing was performed by Cartor Security Printing, France. 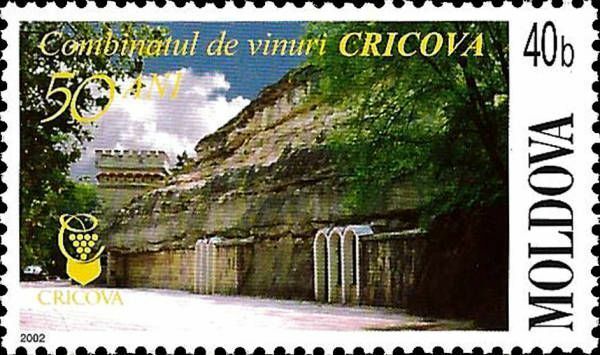 Cricova' is a Moldovan winery, located in the town with the same name, 15 kilometres (9.3 mi) north of Chişinău. 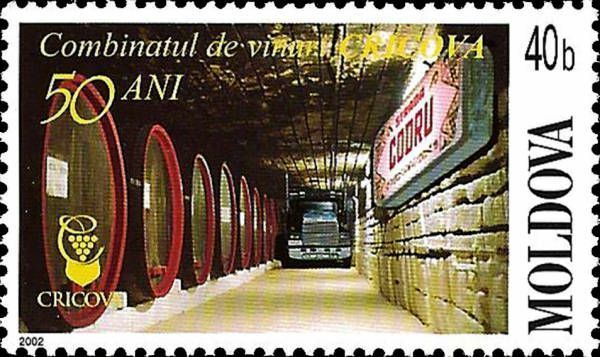 Famous wine cellars make it a popular attraction for tourists. Read more.. 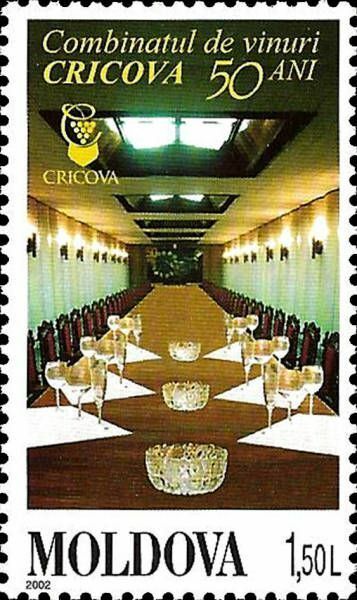 This article uses material from the Wikipedia article 'Cricova_%28winery%29', which is released under the Creative Commons Attribution-Share-Alike License 3.0.